Citizen TV anchor Kanze Dena was recently appointed the Deputy State House spokesperson and took leadership of the communication teams focusing on the President’s brand positioning, media relations and messaging in regard to the delivery of the Big Four agenda. 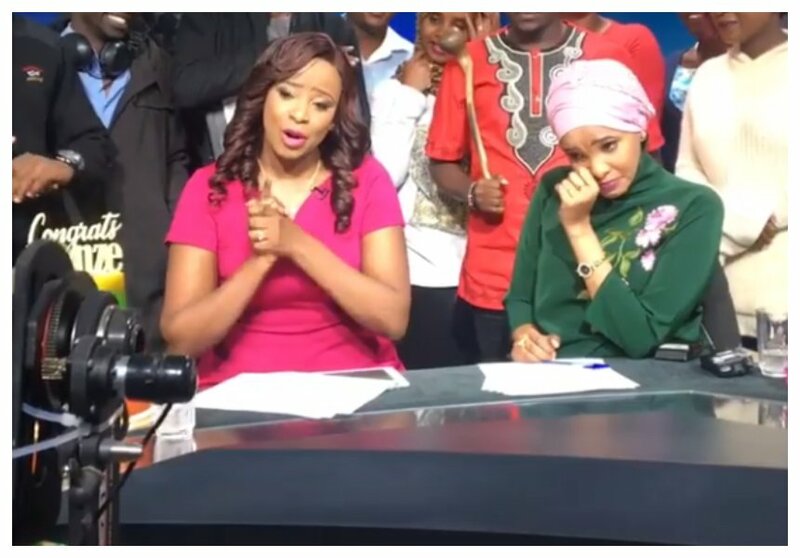 The 39-year-old Kanze had developed a close working relationship with Lulu Hassan whom she has been co-hosting Swahili news with for years and left her in tears on the last day before leaving. 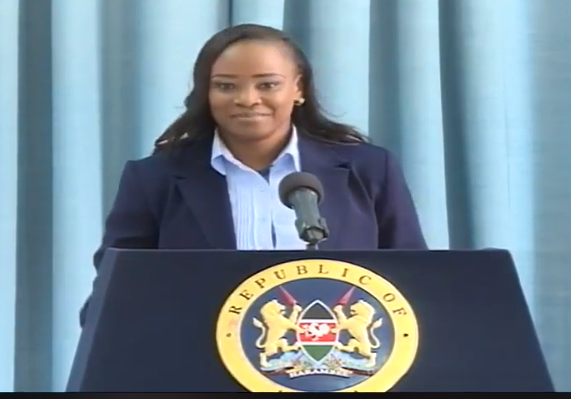 Dena has now given her first press briefing and it seems Kenyans are really glad she was given the job. Most Kenyans took to share their views on the her first expressing that she doing a good job. Opiyo Ochola Very goog Kanze,keep it up. Princess Amina love you Kanze..
Maggie Laban Keep up good work Kanze. Rukia Ahmed Abubakar · 1:57 Keep it up dear!! !proud of you!! !